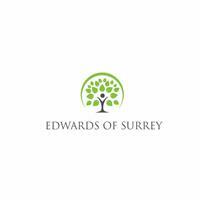 Edwards Of Surrey - Carpenter, Driveways/Patios/Paths, Fencing/Gates, Landscaper , Tree Surgeon based in Epsom, Surrey. We are an established business with many years Landscaping and Tree management experience, we are a professional landscaping company based in West Ewell, Epsom. Providing clients with a wide range of services from small scale to large scale projects. Many garden/property projects have been undertaken, with both professional and reliable staff. Edwards of Surrey are a reputable landscaping company offering complete transformations of your outdoor spaces. We aim to provide one hundred percent customer satisfaction on all work undertaken. All work is carried out with the customers’ needs in mind, from Your project start to Project end, we always ensure that all of our work is carried out with the upmost professionalism and to the highest standards as we pride ourselves on keeping our customers happy and delivering their requirements. Friendly tradesman, Advanced DBS checked, Free quotations & Fully insured. Please feel free to contact us, we're always around the corner! Landscaper, Always on hand to help you out. Great ideas, friendly and trustworthy.